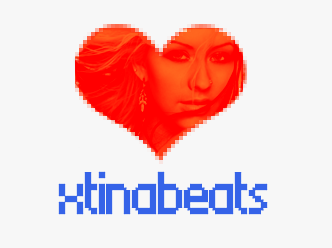 XTINABEATS - Welcome to the Official Christina Aguilera section! - Interact with other Xtina fans. 1. Don't use vulgar language. Insulting/Ofending other members is not allowed. 2. When something is not confirmed, use the tag "[RUMOR]" at the beginning of your topic. 3. Pictures or links with pornographic content will not be tolerated and will result in a ban. 4. Respecting other's opinions is something we preach in POPBEATS. Respect what other people have to say, even when you don't agree. 5. Your avatar/icon shouldn't be over 150 x 200 pixels (width x height). Your signature shouldn't be over 500 x 300 pixels (width x height). Only 2 images per signature are allowed. Mods reserve the right to edit your signature if they feel it doesn't meet the rules. 6. Don't post download links in this section, that what VIP MEDIA is for. 7. Any member who quotes a message that contains any of the infractions mentioned will be considered as an infractor too.